One of the Old Zagreb tour starting point and sightseeing attraction is the Lotrščak Tower and Grič Canon. The Lotrščak Tower (Croatian: Kula Lotrščak, pronounced [kǔːla lotrʃtʃâːk]) is a fortified tower located in Zagreb, Croatia, in an old part of town called Gradec or Gornji grad (Upper Town). The tower, which dates to the 13th century, was built to guard the southern gate of the Gradec town wall. The name is derived from Latin campana latrunculorum, meaning "thieves' bell", referring to a bell hung in the tower in 1646 to signal the closing of the town gates. HEP Hrvatska Elektroprivreda d.d. 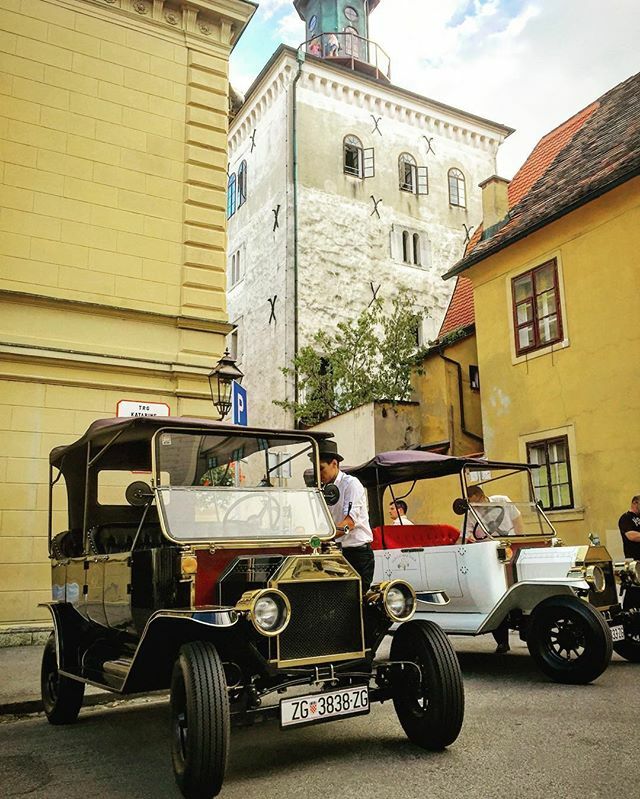 as the general sponsor of the project "HEP Electric Wednesday" this season again gives citizens of Zagreb and their guests free drive in the fully electrical repliold zagreb tour, HEP, sightseeing, Zagreb, Croatia, Free sightseeing, hep electric wednesdayca of the Ford model T through the center of Zagreb. At the same time, we remind you that the project "HEP Electric Wednesday" was launched by the Eco Group (Old Zagreb tour) and with the support of the HEP Hrvatska elektroprivreda d.d., with the aim of promoting electric mobility and environmental responsibility.